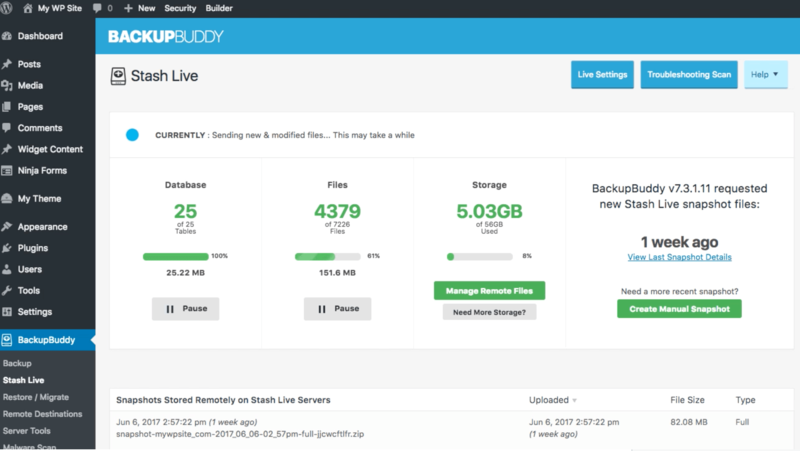 One question we often get in BackupBuddy support is the difference between “traditional” BackupBuddy backups and Stash Live, BackupBuddy’s real-time WordPress backup method. 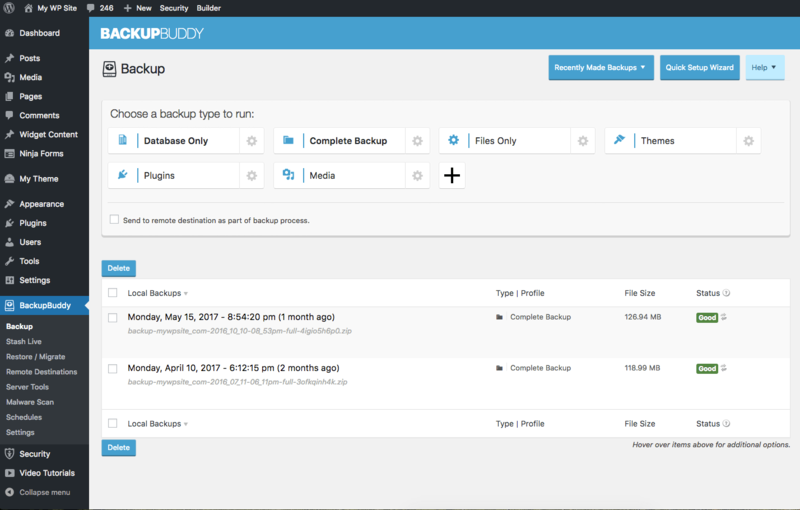 Both WordPress backup methods are ways BackupBuddy can backup your WordPress website and have pros and cons depending on your needs. Whether you use BackupBuddy’s traditional backup method or Stash Live, one of the most important things you can do for the security of your website is to create frequent backups. Both types of BackupBuddy backups can help you make sure you always have a backup of your WordPress website. “Traditional” backups are primarily created on the BackupBuddy > Backup page. In a nutshell, traditional BackupBuddy backups are created on your website’s server. Then, after the backup file is created, BackupBuddy can then send the file to an offsite, remote destination like Stash or Amazon S3. With BackupBuddy’s traditional backups, you can create your backups manually by going to the Backup page and selecting the type of backup you want to run. You can also schedule Backups to run automatically on a schedule. To create a scheduled backup, you’ll go to BackupBuddy > Schedules. You can schedule backs to run from once an hour to once a year. 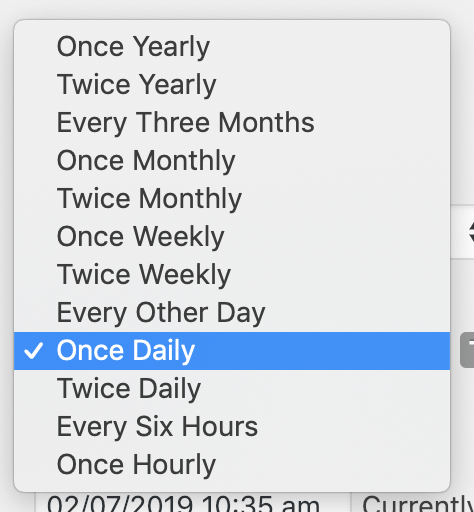 When you create your scheduled backup, you can also determine what type of backup you want to be created for that schedule. And you can create multiple schedules to fit your needs. For instance, if you add a new post to your site every day, you may want to schedule a database backup to run daily and then a full backup to run once a week. As you create your scheduled backups, you might also think about where they are stored. 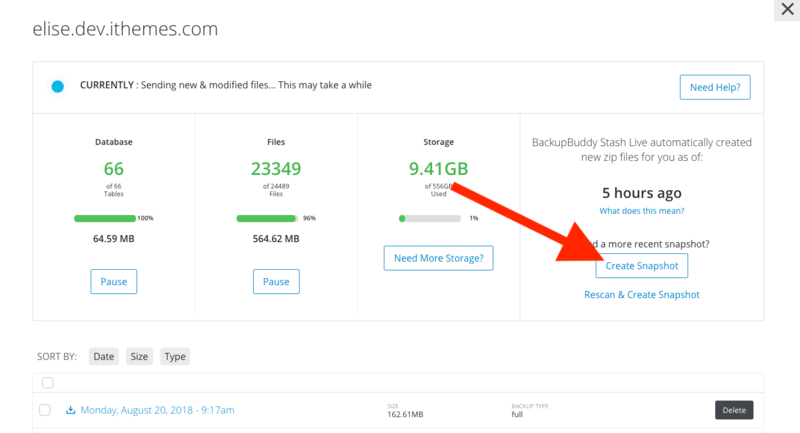 By default, when BackupBuddy creates a backup, it is stored on your server. So what happens to that backup if your server is attacked? If it crashes, you lose that backup! Using BackupBuddy’s Remote Destinations is highly recommended. Whether that’s Stash, Amazon S3, Dropbox, etc. is up to you but we do advise you utilize these offsite destinations. How is Stash Live Different from Traditional Backups? Instead of creating a backup when scheduled or manually on your website’s server, Stash Live backs up all of your website’s database changes as soon as they happen. Stash Live takes a daily Snapshot of each individual file and database table. It then sends each of these encrypted Snapshots to our BackupBuddy Stash servers, where it is then compiled and a backup is created and placed in your Stash storage. In addition to daily Snapshot zip files which are created automatically for you, Stash Live continuously mirrors live changes of your site to our servers. This allows you to retrieve a backup of changes made since the last daily snapshot. Can I Manually Create a Stash Live Snapshot? 2. Find your site in the listing and click the View Files button to the right of it. 3. In the screen that pops up click the Create Snapshot button at the upper right to create a Snapshot of the latest real-time backup data from the site mirrored to our servers. 4. The Snapshot process will begin. You may stay on the page for progress updates or wait to receive an email with download links for the Snapshot zip files. What Else Should I Know About Stash Live? Note: The first initial Stash Live transfer of all of your data may take a long time, from days to even a week or more. The time it takes depends on how many files there are, the size of individual files, the server resources allocated to your site and how much site activity you receive. The extreme time difference is caused by the overhead needed for sending individual files. There is a great deal of overhead for each and every file transfer. Since we are sending thousands of files instead of a single file, it takes much longer. Each file sent may take 1 or 2 seconds even for the smallest of files. This adds up when multiplied by thousands of files. Because Stash live uses WP Cron to initiate the sending of your site’s data to the Stash Live servers it can take some time for all of your site’s files to make it to the stash live server. This is why it’s beneficial to keep the Stash Live page open during the initial Stash Live transfer of your database and files. BackupBuddy uses a combination of Ajax and WP Cron to continually ping your own site to keep the transfers going until your site is fully loaded onto the Stash Live servers. In short, when enabling Stash Live for the first time on your site it is best to keep the Stash Live page on your site open in a tab in your preferred browser until your site is fully uploaded. So What’s the Benefit of Using Stash Live Over Traditional Backups? The backup zip creation process is the most resource intensive part of the backup process. Offloading this process to our servers instead of your website’s server significantly reduces the chance of any problems due to server timeouts. Although there’s a slow initial backup with Stash Live, subsequent backups are often faster than a normal backup as only changed files are transmitted. In short, the first Stash Live transfer may take a while, but things should move along much faster in the future. Keeping the Stash Live page open during the first backup can help the process to move a bit faster in some cases. Once the Stash Live backup is completed, it can be retrieved from your Stash account. Then you can utilize like any traditional backup for migration/restoration. Should I use Stash Live or Traditional Backups? The choice between Stash Live and Traditional backups boils down to how busy your website is and how often you make changes/edits. The busier the site, the more often you should create backups. This means that if you have a very busy site, Stash Live might be the best option for you. Unlike traditional backups, Stash Live creates daily Snapshots as well as backing up your database as soon as changes happen. While Traditional backups can run daily, twice daily, even hourly, keep in mind that these backups are running on your server, and if you have a poor or unreliable host that throttles your resources, you may run into issues with completed backups. Whether you’re using Stash Live or creating traditional backups, make sure you’re backing up your site!